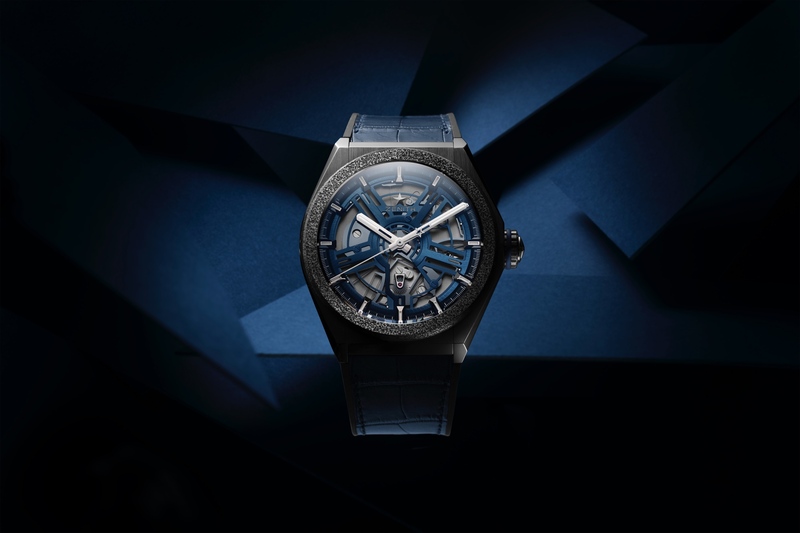 Zenith continues to unveil new versions of the Defy Classic, last month a Black Ceramic version, followed by the Swiss Beatz Edition, and in November, the Range Rover Special Edition. 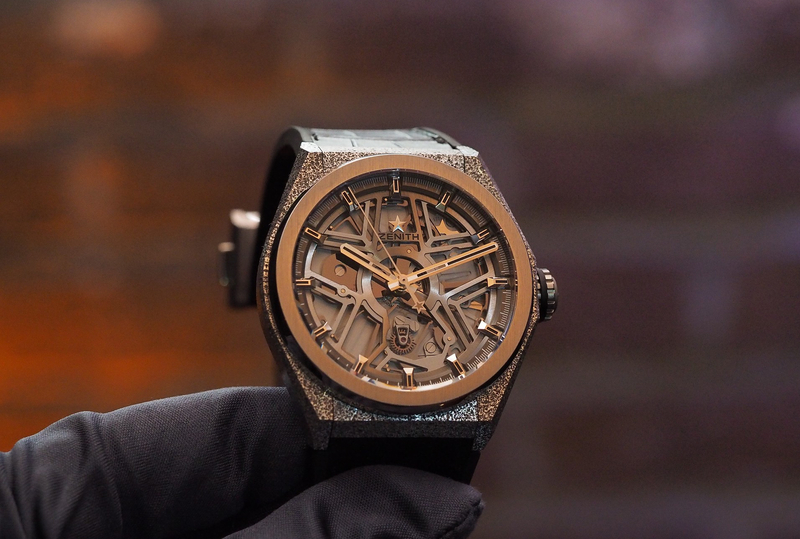 The original launch of the Defy Classic took place at Baselworld 2018, in March. This week, the Le Locle-based manufacture debuted a new two-tone version with a titanium case with solid 18K rose gold bezel and center links. 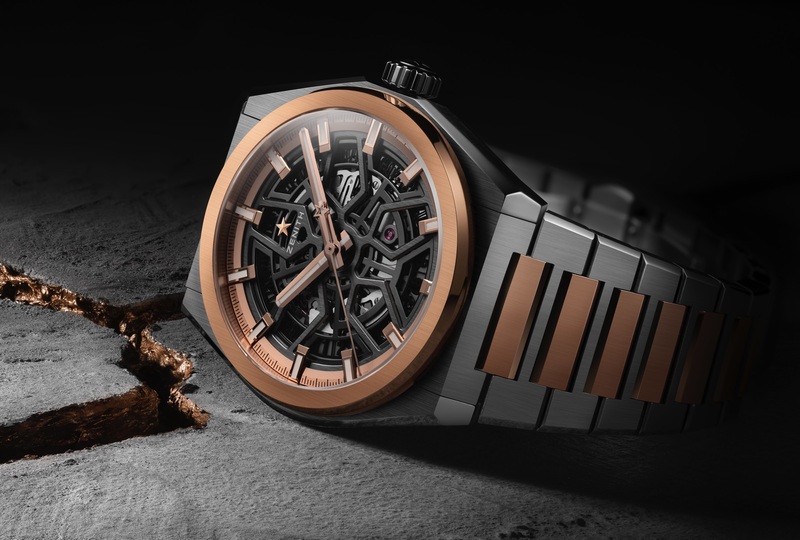 As with the previous models, the Defy Classic Two-Tone Titanium Gold measures 41 mm x 10.75 mm, and is powered by in-house automatic Elite caliber 670 SK which is skeletonized, beats at 4Hz, has 27 jewels, 187 total components, and 48-hours of power reserve. The movement features a silicon escape-wheel and lever which allows for longer service intervals. The dial is open-worked and features a rose gold bezel, hour markers, hour, minute, and second hands, and the star logo is also in plated rose gold. 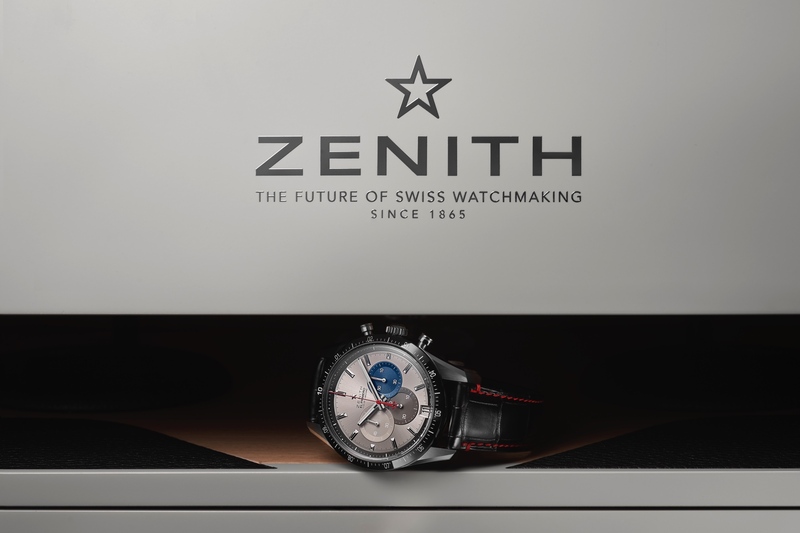 The sapphire caseback allows a view of the movement and the star-shaped oscillating weight that winds the watch. Retail is $15,500. Learn more at Zenith.